Wisconsin has the 47th weakest recusal rules in the nation for judges at all levels who receive campaign contributions or benefit from spending from outside spending groups with no threshold or limit. 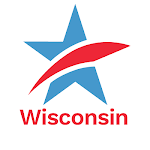 A Wisconsin Supreme Court Justice could benefit from election spending of hundreds of thousands, or even millions of dollars from a special interest group or individual and not have to recuse her or himself from a case involving that interest group under the current recusal rule, which was written by Wisconsin Manufacturers & Commerce and the Wisconsin Realtors Association and adopted verbatim by the WI Supreme Court in 2010. This lack of strong recusal rules has undermined the impartiality, credibility and public confidence in the Wisconsin Supreme Court. This problem is so urgently in need of a strong remedy that it has emerged as a central issue in the current election to fill a vacancy on the Court which will occur on April 3rd. A 5 to 2 majority on the Court rejected a strong and sensible proposal put forth by 54 retired jurists of all levels last April without so much as a public hearing. CC/WI organized three public hearings around the state last October to educate the public about the retired jurists' petition. Today, we release two videos on the issue which will be disseminated widely to help educate Wisconsinites about this critical and vitally important matter. We invite you to share them widely as well – with family, friends and anyone who might or should care about a fair, independent, transparent and impartial judiciary and the need for more equal access to justice under the law. Wisconsin deserves to have a judicial system worthy of its citizens! Common Cause in Wisconsin Releases Videos to Educate Citizens About the Critical Need for Stronger Judicial Recusal RulesTweet this!